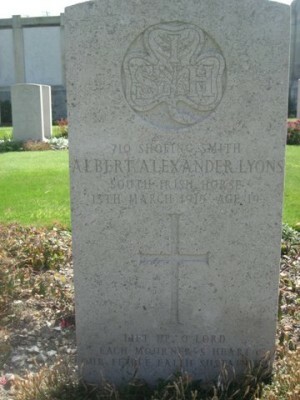 Died on 13th March 1915, just one month short of his 20th birthday. Albert was enrolled at Leam School on 2nd July 1907 having previously attended Shindilla School at Maam Cross. Growing up on the farm at Tullaboy, Albert would have had much experience with horses and ponies and this may have influenced his decision to join the South Irish Horse regiment of the British Army on 4th August 1914 when he was just over 18 years of age. He was soon sent off to war in France where he served as a shoeing smith and where he died on 13th March 1915 just one month short of his 20th birthday. He is buried in St. 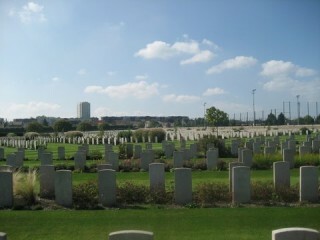 Sever Cemetery, Rouen, France close to a place where a number of field hospitals were located during the First World War. His grave is A.5.6. A certificate, issued by the Recruiting Authorities in Ireland, and which was sent to his parents states “This is to certify that Albert A Lyons of Maam Cross entered on active service to defend the liberty of his country on 4th August 1914, trooper South Irish Horse. 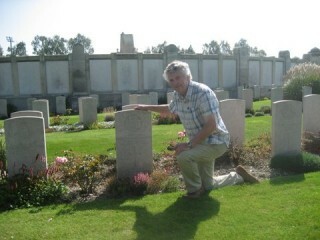 Died in March 1916 from illness contracted on Active service”. The illness referred to is pneumonia although mention has also been made of Weil’s disease which he might well have contracted following a rat bite received in the trenches. My grandmother kept a number of post cards which he sent to her. They give little information and are stamped as being passed by the censor. One written in January 1915 says “Dear Mother, Just a few lines to let you know that I am in the best of health. Best love from Bert.” A second, with a picture of a group of soldiers on the front and written some time later says “Just a few lines to let you know that I am in the land of the living yet. 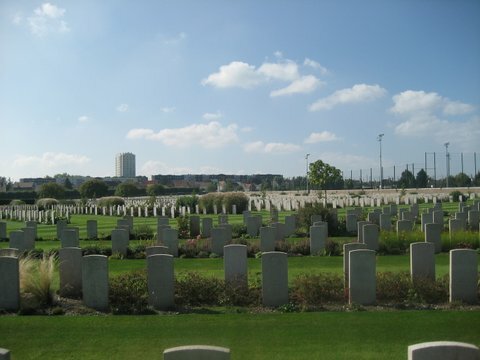 Best love to all, Bert.” There are also three medals which were awarded posthumously. I am sure that thousands of these letters were written with the exact same wording and it is unlikely that the King knew the names of those young nineteen year-old soldiers.